All old K/iron head frames up to 81 are tack welded for positionning only on the jig, then silver brazed all round... Same for most of the bracketry that hangs to the frames. Its good to have pointed out that the castings are of steel and not cast iron as this can cause confusion - if it was cast iron the frame would not hold together for very long cast iron being very brittle. However I disagree about the welding, whether its tig mig or arc. The factory brazed/silver soldered the frames for a good reason. If only a ring of weld held the seat post to the seat casting it would fail eventually for sure - the weld being weaker than a correct sized tubing of suitable tensile rating. The twin seat posts of Sportster frames are perhaps the most stressed part of the frame taking all the shocks of the suspension. Its really not surprising that when Harley did away with the seat casting and went to the U forged bar in 72/73, failures happened straight away. If you look at that arrangement, the seatposts are simply welded to the U bar. It was just not strong enough and had to be beefed up by adding struts either side. Patrick has pointed out that indeed all the joints were brazed on early Ironheads. This was the method of those days. 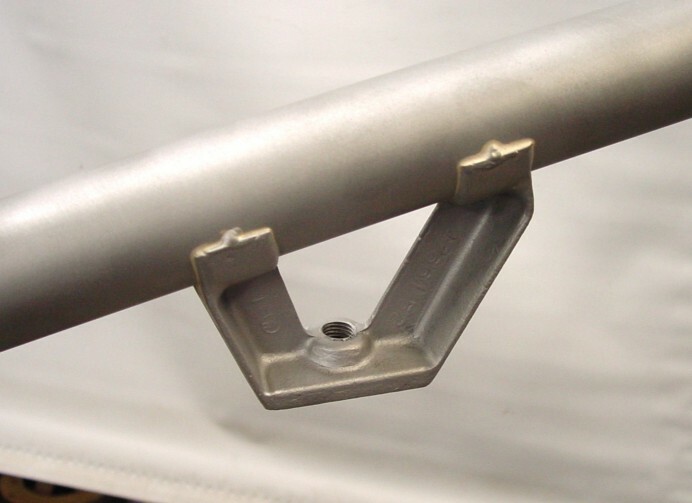 Later when frames became all welded, the designs had to be suitably changed to allow for greater surface areas to be welded together to give the same strength. Most brazed joint has a hole, you heat evenly with a rich flame, not a lean one as it will oxidized the brazing alloy, then fill the joint by the hole. I always calculate my brazing load: the space between the two parts assemble together. Too little, and you will have not a sufficient fuse joint. The flame most move to spread the filler metal in the length of the joint. Lucas white flux is water soluble, just wash it off with water. Don't leave it because, as stated, it will attract moisture. Some prefer brass, other silver, Brass will be better with poor fit-up. Don't braze on rusted joint, prepare then braze. Don't introduce hydrocarbon; wash with acetone or other petroleum product, I use good old Dawn dish soap to clean the oily residue from cutting tool. 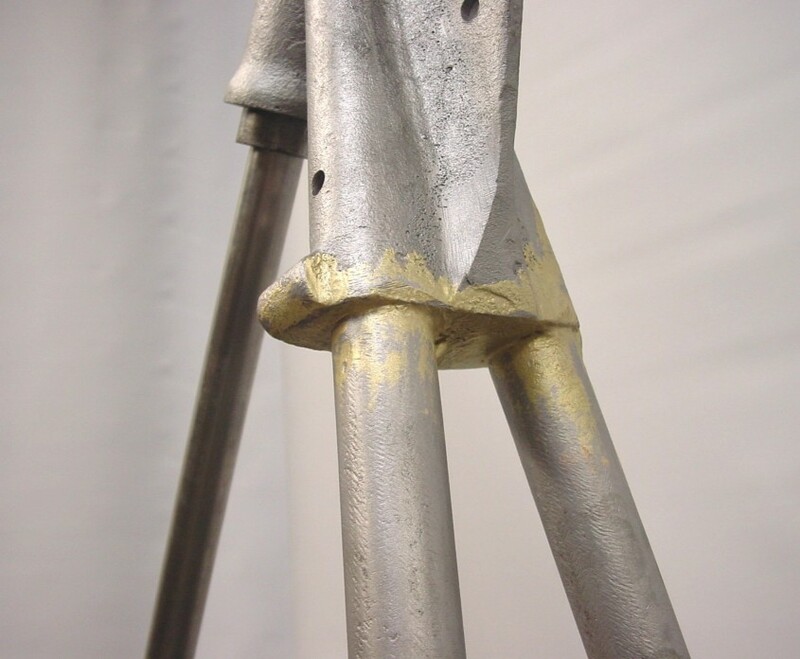 The rule of thumb is to have a gap of 0.05 maximum with silver brazing. Too large of a gap will stop the capillary action of the filler. Try to braze the joint in the vertical down position. Add a nice collar at the junction for added strength. Oxy-acetylene is my preferred mix. Have fun. Soldering is not an option; too soft for frame application. All times are GMT +1. The time now is 02:12.